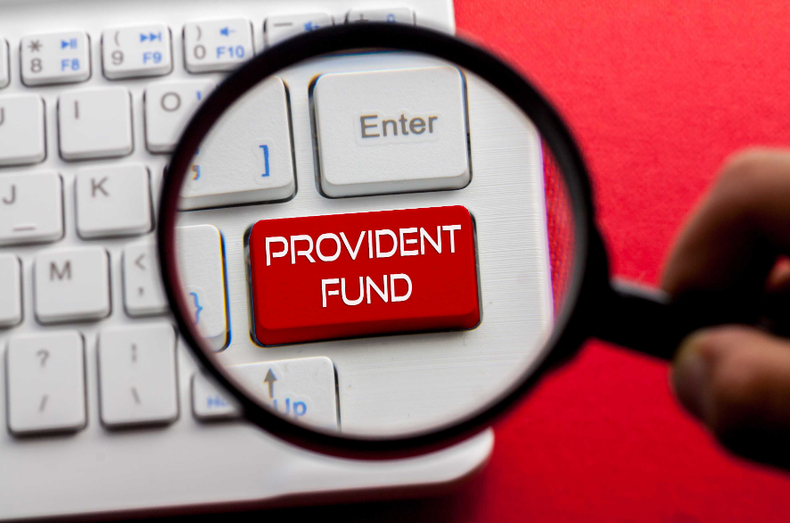 Provident Fund is a retirement scheme which is given to all the salaried employees in both public and private companies. This concept was first introduced in 1952 by the central government of India where any company that had 20 or more employees had to register under EPFO (Employees Provident Fund of India). It was first introduced to people who are salaried. Any employee who is working for a company has to contribute 12% of his/her basic salary to the EPF account. EPF account interest is tax-free. PPF is mainly for the public like housewives, business owner, self-employed people etc. It’s a 15 years scheme where you have to deposit a minimum of 500 rupees to a maximum of 1.5 lacs rupees annually or 12 monthly installments in order to avoid any extra penalty. In order to gain more interest in your PPF investment, it's better for you to deposit more amount of money. How to calculate PF amount? An employee’s 10%-12% generally goes to the EPF scheme of his basic salary. The current EPF interest rate is 8.55 %. For the year 2016-17, it was 8.65% whereas in 2015-16 it was 8.80%. The current PPF rate is 8% for this quarter. It is revised after every quarter. PPF interest is compounded on an annual basis so, for instance, the current 8% interest on your saving of 8 lacs will be 8000/- so the amount comes to 1,08,000, now, the interest for another year will be calculated on 1,08,000 rupees, not on 1,00,000. Not all the banks are eligible to offer PPF accounts except a few like, Axis, ICICI, HDFC is some of the private sector banks that offer PPF service. Whereas Public sector banks like SBI, PNB, CANARA, UCO etc are the banks that offer PPF service. Universal Account Number is allotted by EPFO. As the name suggests, it is a universal number for multiple members that is allotted to an individual, with the help of UAN multiple member ids can be allotted under single member. UAN number helps you in keeping track of your PF account without visiting the bank every now and then. It is a 12 digit number that is linked to your PF account. Do remember that UAN number is not your PF number, but it is an identity of your PF account. Select the option that says, ’For Employees’ from the drop-down menu. Click on the option ‘Member passbook’ under the option ‘services’. It will take you to a login where you have to put your UAN number and password and after logging in, you can access your EPF account details and balance. With the help of Umang App checking your PF balance on your handheld device has become easier than ever. It was launched by the government of India last year. From EPF passbook to raise claim and track claims, it allows you to view at one place. All you need is a one-time registration using your mobile number. If your UAN is registered then you can access your latest contribution details of the PF by sending SMS to the number 7738299899. You need to send the message with a body: EPFOHO UAN ENG. The letter ENG is language preference that you want for your message. There are other language options including but not limited to Telugu, Gujarati, Marathi, Kannada, and Bengali. If you want the message in Hindi, then you need to type EPFOHO, UAN HIN. If your UAN and KYC are integrated then you can give a missed call at the number 011-22901406 from your registered mobile number and after that, you will get SMS with the PF details. Here the steps how you can withdraw your Provident Fund with UAN. You will find another option below with ‘Member UAN/Online services.' After clicking on that you will be redirected to a new browser. Log in to the portal with your UAN number and password. Now you have to authenticate your KYC after doing so, you will receive an OTP which will take you to the withdrawal EPF claim form. Once the form is submitted, you will receive a copy of confirmation into PDF form, keep it securely. How to withdraw PF from the previous employer? #1. Go the official website of EPFO and click on the column of ‘My Services’. There you can select the option ‘For employees’, you will then find another option ‘Member UAN/Online Service’. #2. It will direct you to a new tab where you need to log-in in your PF account with UAN Number and Password. #3. After logging in, click on the option ‘View’ and select ‘Service History’ and there you can see your previous companies PF Number. #4. Copy that PF Number and select the option ‘Online Service’ and select the ‘One Member-One PF account transfer request’. #5. You will be provided with an application form that will help you in transferring your previous PF amount to your current PF account. #6. The form is already prefilled with all the necessary details you need just recheck it in case it requires any changes. #7. In step 1 you need to fill your previous companies PF number and details and click on the button ‘Get Details’, there you can find all the necessary updates and details of your PF account. #8. In step two you have to select the button of ‘Get OTP’. Click on the button to receive the OTP. #9. Mention that OTP in the box next to ‘Send OTP’ and submit and the claim will be successful. (Sometimes there can be errors in the server and OTP extraction so try early morning). The process is very easy if you have the UAN number. The whole process can be completed online. How to check PF claim status? In order to check your PF claim status applied either online or offline. It can also be checked via the EPFO online portal. The claim status gets updated on the website within 2-3 days. #1. Go to the official website www.epfindia.gov.in. #2. Place the cursor on ‘our Services’ Click on option ‘For Employees’. #3. Then you will be guided further and you can find an option as ‘know your claim statuses’. Click on the option, and you will reach the portal where you can check your claim status. #4. You have to enter your UAN number and mention the captcha and click. #6. And there you can see all your claim details & status. How to close PF Account? The closing and opening of PF accounts are not similar to the bank accounts. The withdrawal is allowed only after the period of five years and if you need it urgently it is done as a loan claim and needs to be realized. Either the employee is dead. Or he/she has left the job from the company. So, in case you have resigned from your previous job and now want to claim your PF fund then you need to sign a proposal of closure in the provided format and send it to the EPF regional office via your employer. The regional office will verify all the entries and will close your account and release the balance and interest applicable to your account. In case your company is not processing the procedure of releasing your money then you can issue a petition of grievance as a reminder for the company to do the needful. #1. Income tax Exemption - If you have a PF account you are liable for an exemption from income tax. It is like an investment in your earning where you are given a fixed interest on your basic income. The longer it is the better the profit margin. It’s better if you withdraw it once you retire. #3. If you are contributing for more than 10 years it ensures you a life-long pension under Employees’ Pension scheme 1995. #4. If your Adhaar is linked with the UAN number, in case of job change you can transfer your EPF account very easily. With the help of this new employees are not required to file separate EPF transfer using Form-13, it will now be done automatically. #5. You are entitled to avail the facility of withdrawal for the purchase of a house, construction of the home, illness, higher education, marriage and so much more. The withdrawal is done for voluntarily in order to contribute in the personal expenditure this leads to the retirement savings to be zero. If an individual withdraws the amount of Provident fund before the completion of the five-year term the amount becomes taxable. Now many a time it is possible that your details are wrong while you are applying for withdrawal of your EPF account but then this confusion is very normal, so rectify the mistake within the time possible, as it might cause the delay in your withdrawal claim. Hi, i left my job in feb 2014..have not withdrawn my pf yet. My pf is not linked with UAN.. how can i check my pf amount? Very useful information, currently i am trying to withdraw my pf. But i cant able to withdraw, my adhar details are not uploaded. Mam pls tell me how to seed adhar details to uan. Hii Mam.. this is very useful information you shared. I would like to say a big Thank you to you for this useful information. Mam could you please help me by answering that is there any methodology so that without UAN we can check by only PF no. Please help me. This was a very useful article. Thank you for writing this! Are the benefits that you mentioned applicable for individuals who quit their jobs or for those who remain in jobs?